If you talk to anyone about their home security, they will tell you they want to feel safe in their home and secure. Now that does not mean that they have taken advantage of all the ways to do that and there may be some they never really thought about. Whether you live in a home, apartment or condo you want to make sure that you are safe and secure and are less likely to be burglarized by a would be intruder. When you are burglarized it can leave you scared and feeling violated in your own home. Don’t wait for something terrible to happen to make some changes. There are several things you can do to make your home more secure and to leave you less likely to be broken into. Leave Porch Light On at Night & Keep Home Well Lit: If you head outside your home at night and walk around you may be surprised to find out that there are several areas that are dark corners. The problem with these areas is that an intruder will use these dark areas to hide out and sneak around when deciding to break into a home. The best way to combat these issues is to have lights installed on and around your home. You can use lights that are installed with a sensor that can go off when there is movement outside your home. The great thing is it works two ways. One is to light up a dark area that an intruder may hide and possibly scare off someone that thinks you saw them and switched on the light. Alarm System: Another way to keep your home secure is to have an alarm system of some sort installed on your home. There are many types of systems you can go with. Some have alarms only, while others have cameras and will record the information that is going on in your home. The great thing is that you can set the alarm while you are away but also when you are home. The alarm will alert if a door or window is open which may be enough to send the intruder running. The second part to most of these alarms is that the alarm when also alert a company that you are contracted with to come out and investigate and see if anything looks out of place. Have Door & Window Locks Checked: You want to have a locksmith company come out and look over the locks on your home to ensure that they are secure. Many people never take a second look at the locks on their doors and especially their windows to make sure they are not damaged or broken. The locks can be changed out for a much higher quality lock if you are concerned with the integrity and security of the locks you have. You also want to have a deadbolt installed on exterior doors that can help to secure a door if someone tries to kick it in. Most crimes committed are related to the theft of personal property from residential locations. There are lots of ways to secure your home, from locking your house to installing an alarm. You can also take it one step further by installing a safe in your home. One of the hardest parts of buying a safe is getting it home. 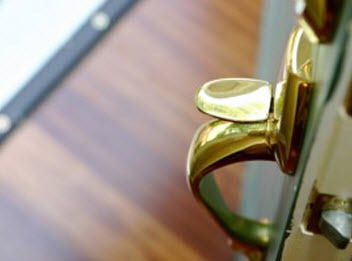 For safety we recommend using the services of a professional locksmith to deliver and install your new safe. Safes are heavy making them dangerous to move. Safety is extremely important and nonessential persons, especially children need to be out of the area when moving them. If stairs are involved, then it becomes more dangerous. Moving a safe to a ground-floor location is usually possible using one or more people with the proper tools. Safes up to 700 pounds should use a moving dolly with pneumatic tires or a heavy-duty appliance dolly. These can be inexpensively rented from a store. If the attempt to move a heavy weight placed on small diameter wheels can damage floor tiles, wood, or vinyl flooring, sheets of plywood should be placed to dissipate the point load and protect door thresholds if necessary. If there are more than three stairs involved in the move it will require special equipment, more men, or even better, a professional. 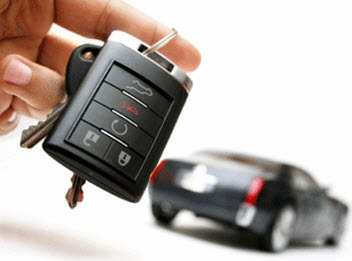 Hiring a professional locksmith will save you time and money overall. Placing your new safe in the garage may be convenient, but unless it is bolted to the floor, it can be an easy target for burglars. Many thieves have no problem backing their truck into a garage and loading your safe onto it in broad daylight. If it is bolted down, you should cover it to hide it from view. Remember that heat rises, making the first level or basement of your home the best way to protect the safe and your belongings in the case of fire. For security and safety reasons, your safe must be bolted down to the floor. The installation of a wall safe is a great way to further the security of items inside your home. It will never completely prevent theft but will seriously slow down the attempt by anyone to do so. It should be installed in an area that is inconspicuous and you shouldn’t tell anyone where it is. Wall safes are easily hidden and represent “free” storage space since they are tucked in the space between your wall studs. Choose a safe that will fit into your wall and choose a location in a wall that is free from any piping and wires. Locate the studs with a stud finder or look at the baseboard trim for finish nail locations. Always confirm stud location with a visual hole. Don’t apply above electrical sockets as many times the wires come down from above. The dimensions of the safe you choose will need to be transferred onto the wall. Most wall safes have a face flange. Be sure the hole isn’t cut too large or the flange will not overlap and cover the exposed wall. Secure the safe with the supplied fasteners into the studs. Theft and calamities do not come with a warning and once you lose something is when you realize how important it was. If you’re looking to install a safe in your home, call Best Locksmiths today. You can enhance the security of your home with the right garage door lock. Many people use their garage as a work space and for storage. This means there are a lot of things in your garage that may be of value so you want to keep potential burglars out. Good quality locks will help deter intruders from trying to gain entry into your home. There are options to take into consideration when you add a lock to your garage door. Slide bolt locks are the most common lock used to secure overhead doors. This lock uses a latch that slides from the garage door into a pre-cut hole in the vertical track. When this lock is engaged, the door cannot be opened. This lock is not recommended to use with an automatic garage door opener. Many homeowners forget that the slide lock is engaged while running the opener which causes the motor to burn up and bends the top section of the garage door too. T-Handle keyed locks are the second most common garage door lock. The handle on this lock is shaped in the letter “T” and is installed on the outside of the garage door. On the inside of the door there is a cable system that attaches to two bolts. These bolts are secured into the track and are only released when the “T” handle is turned. The right key needs to be used in order to turn the handle and caution needs to be used when installing this lock with an automatic opener as running the opener with the lock engaged will cause damage to your operator. Electronic Locks are used on some garage doors. These motors engage and disengage the lock automatically before operation. This device id similar to the slide lock, only it is automatically controlled before operation. Deadbolt Locks provide extra reinforcement to a door. These are perfect for doors that lead into your garage. You can only use a key to open this lock. Single cylinder locks use a key on one side and have a knob on the other. Double cylinder locks have a key on both sides that need to be used. It takes a great deal of effort to move a deadbolt lock without the key and will discourage intruders. 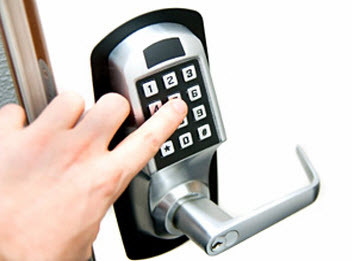 Keyless Digital Locks use advanced technology to produce these locks. Instead of using a key to open the lock, you will use your fingerprint. This system can support multiple fingerprints which lets you decide who is allowed to enter your garage. This lock should be installed by professionals. They tend to be expensive but are the most secure garage door locks on the market. They are well worth the cost to give you the extra security boost. Many homeowners don’t realize that every automatic garage door opener already has a built in lock feature called the J Arm Lock. There is an operator lock on the trolley and it locks into place when the garage door is in the closed position. This will prevent the garage door from being lifted up by hand. If you want added security for your garage door, call Best Locksmiths to have a garage door lock installed to protect your home and family.